There are often discounts readily available to senior citizen and tiny kids. Find out by contacting your nearest pool in Mazarrón. Please have a look to the Heated Pools in Mazarrón swimmers like you have reported. Is your pool not listed? Contact us to ADD IT. It is free of charge! We at present have the following Swimming Pools, but we are constantly grateful for any corrections or contributions. Get in touch through our contact type. Water sports are escalating specifically in elderly population sectors who have suffered some type of muscle or bone damage. Are you on holiday and want to keep fit and healthful? 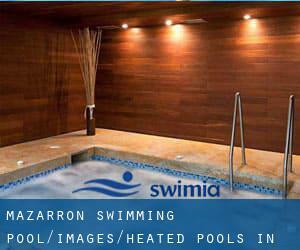 Swimia.com provides you the easy and quickest approach to acquire pool near Mazarrón. Most from the Heated Pools in Mazarrón supply both open lanes for independent swimming and also guided activities like water aerobics or aquabike. Updated on 2019 Avenida Valencia , Molina de Segura , Spain (Postal Code: 30500). Among all the activities supplied by the center, if you are thinking about swimming you are going to enjoy 25 meters, 6 lanes, Indoors. Just in case you want to get in touch with this Swimming Pool before dropping by, we only know the phone number. Calle Lope de Rueda, 10 , Infante Juan Manuel , Murcia , Spain (Postal Code: 30011). Among all the activities offered by the center, in case you are thinking about swimming you will take pleasure in 25 meters x 12.5 meters, Indoors. Just in case you need to get in touch with this Swimming Pool before dropping by, we only know the phone number. Avenida de Balsicas, s/n , Torre Pacheco , Spain (Postal Code: 30700). This sports center gives 25 meters, 7 lanes, Indoors. Contact information for this Pool including phone number and email address are number. Carretera de Zaneta, 36 , Beniel , Spain (Postal Code: 30130). Swimmers like you reported 25 meters x 12.5 meters, 6 lanes, 1.2 meters - 2.4 meters depth, 1.2 meters - 2.4 meters depth, Indoors. Unfortunately we do not have the e-mail address of this Swimming Pool, but we can provide you with the phone number. Updated on 2019 República de Cuba , Fuente Alamo , Spain (Postal Code: 30320). Swimmers like you reported 25 meters, 8 lanes, Indoors. Phone number and email address are number for this Pool. Avda. Libertad , Jumilla , Spain (Postal Code: 30520). Among all the activities offered by the center, for anyone who is considering swimming you'll enjoy 25 meters x 16.7 meters, 8 lanes, Indoors. Just in case you would like to make contact with this Swimming Pool before dropping by, we only know the phone number. Avenida Joaquín Blume , Los Alcazares , Spain (Postal Code: 30710). This sports center gives 25 meters, 6 lanes, Indoors. For this Swimming Pool, only phone number is number here. Updated on 2019 Avenida de la Marina Española, 10 , Murcia , Spain (Postal Code: 30007). Among all the activities provided by the center, in case you are interested in swimming you will enjoy 25 meters x 16.67 meters, 8 lanes, Non-Chlorine Sanitized, Indoors. Just in case you need to contact this Swimming Pool before dropping by, we only know the phone number. Camino de Cartagena , Lorca , Spain (Postal Code: 30800). This sports center offers 25 meters, 6 lanes, Indoors. For this Swimming Pool, only phone number is number here. Calle del Mar Menor, 14 , Santa María de Gracia , Murcia , Spain (Postal Code: 30009). Swimmers like you reported 25 meters x 12 meters, 6 lanes, 1.8 meters - 2.5 meters depth, 1.8 meters - 2.5 meters depth, Indoors. Unfortunately we do not have the e-mail address of this Swimming Pool, but we can give you the phone number. Avenida Vicenta Ruano , Aguilas , Spain (Postal Code: 30880). This sports center gives 25 meters, 6 lanes, Indoor/Outdoor. For this Swimming Pool, only phone number is number here. Updated on 2019 La Manga Club Resort , Los Belones , Spain (Postal Code: 30310). Among all the activities offered by the center, if you are interested in swimming you'll take pleasure in 25 meters, 6 lanes, Indoors. If you should get in touch with this Swimming Pool, email address and phone number are both number. Avenida Juan Carlos I , Espinardo , Spain (Postal Code: 30100). Among all the activities offered by the center, if you're considering swimming you can enjoy 25 meters x 12 meters, Indoor/Outdoor. Just in case you would like to make contact with this Swimming Pool just before dropping by, we only know the phone number. Updated on 2019 Carretera de Alicante, s/n , San Javier , Spain (Postal Code: 30730). Swimmers like you reported 25 meters x 12.5 meters, 6 lanes, Indoors. Phone number and e-mail address are number for this Swimming Pool.